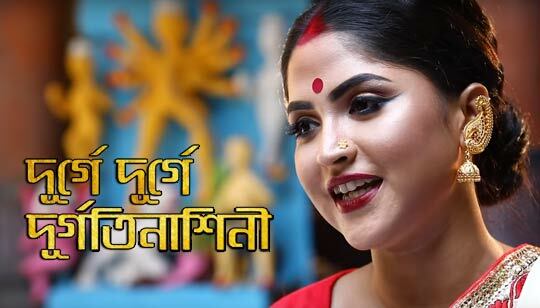 Durge Durge Durgatinashini Lyrics: Durga Puja Special Durga Bandana Sung by Asha Bhosle. Durgotinashini Bangla Song Lyrics written by Swapan Chakraborty And Music composed by Rahul Dev Burman. Cover version Song Is sung by Debolinaa Nandy, Madhuraa Bhattacharya, Rinika Chatterjee, Anil Haldar And Many Others Various Artists.